NEW YORK, March 22, 2019 – E-Complish, a provider of customized payment processing solutions, has once again been found compliant with standards set forth in the Security Rule component of the Health Insurance Portability and Accountability Act of 1996 (HIPAA). The finding follows the completion of a security assessment by MegaplanIT, an authorized third-party security Firm. 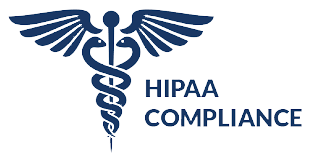 HIPAA comprises a set of physical, network, and process security standards that must be followed by any entity that handles patients’ protected electronic health information (ePHI). The HIPAA Security Rule requires that three types of safeguards—administrative, physical, and technical—be implemented in order to safeguard ePHI. The security assessment process entailed a detailed review in several areas. These included, but were not limited to: policies and procedures; network and data flow diagrams; physical and environmental security; disaster and data recovery backup processes; vulnerability management; penetration testing; encryption; system hardening standards; patch management; access control; data storage, logging and auditing; security monitoring; and incident response. Since 1998, E-Complish has provided merchants around the country with top online and over-the-phone payment processing services that keep customer data secure and make it easy to manage transactions. E-Complish uses the latest ground-breaking technology to design payment processing services that deliver ease of use, accuracy, dependability, personalization capabilities and automation that improves productivity.